Photographers for Hati has published a photographic benefit for Hatian earthquake survivors. 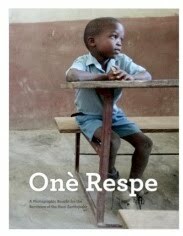 All proceeds of this magazine will go to the American Red Cross International Response Fund for Haiti relief. "I thought about how I could use photography to raise money immediately." The resulting humanitarian pages are impressive and inspiring.